I am not one that usually uses recipes provided by the company on packages, but I was in need of a good cookie, so I thought I'd give it a whirl. Boy these are good! 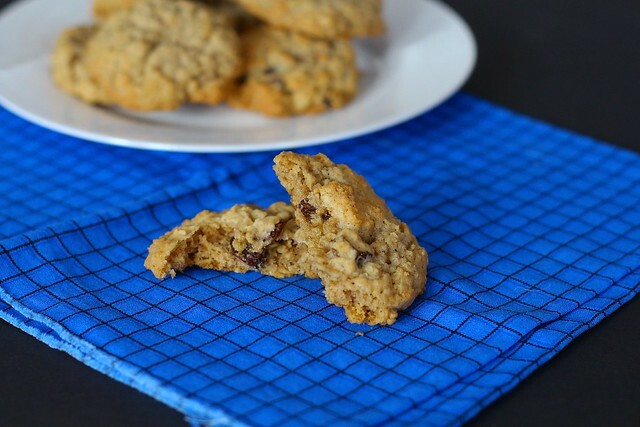 These cookies are moist, chewy and delicious. I have always loved the combination of oats and raisins. They seem to complement each other so well. 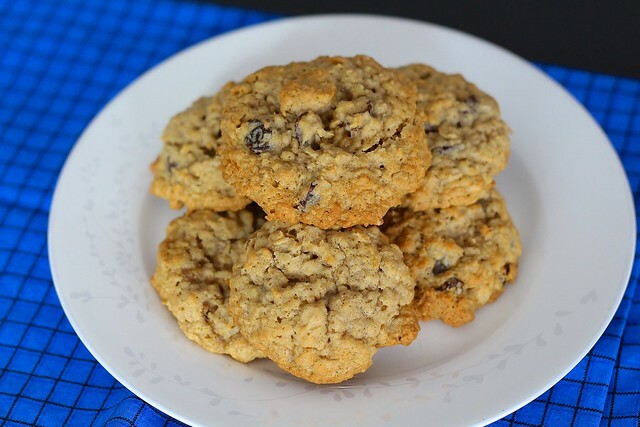 These cookies were rated "the best oatmeal raisin cookies I've ever had" by my brother and husband. And that is the reason why I love to cook! Directions Heat the oven to 350 degrees F. In a bowl of a stand mixer, cream the butter and both sugars on medium speed until light and fluffy, 2-3 minutes. Add the eggs and vanilla, mix well. In a small mixing bowl, whisk together the flour, baking soda, cinnamon and salt. Slowly mix the flour into the butter mixture. On slow speed add the raisins and the oats. Mix well. Drop the dough by the tablespoons full onto an ungreased cookie sheet, about 2 inches apart. Bake for 8-10 minutes, or until light golden brown.